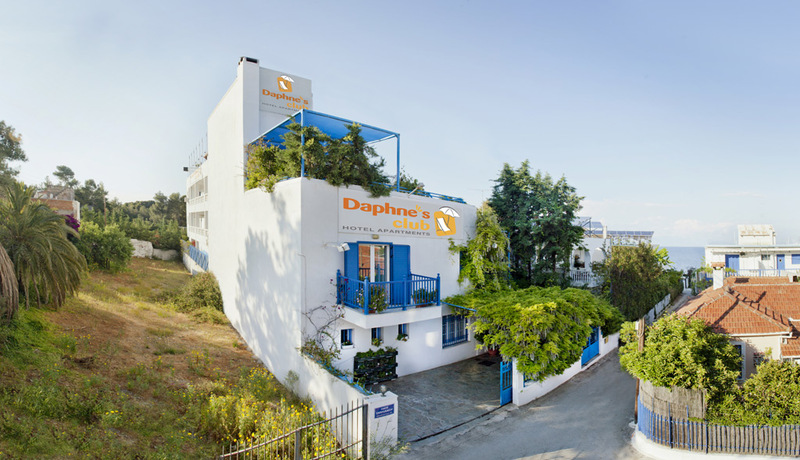 Daphne’s Club Hotel Apartments is situated in the small village of Sykia, 2 km from the town of Xylokastro. The beach, where you can go swimming or sunbathing, lies less just a few steps from the hotel. Access to the beach is free. 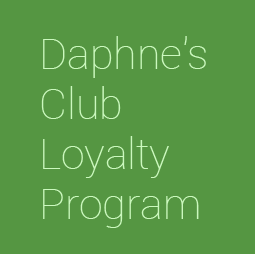 There are no umbrellas and beach chairs to rent, but at Daphne’s Club Hotel Apartments we provide you with both! We also have beach toys for you to take to the beach, such as rackets, Frisbees and inflatables. The beach is made up of small pebbles and the sea is of normal depth. 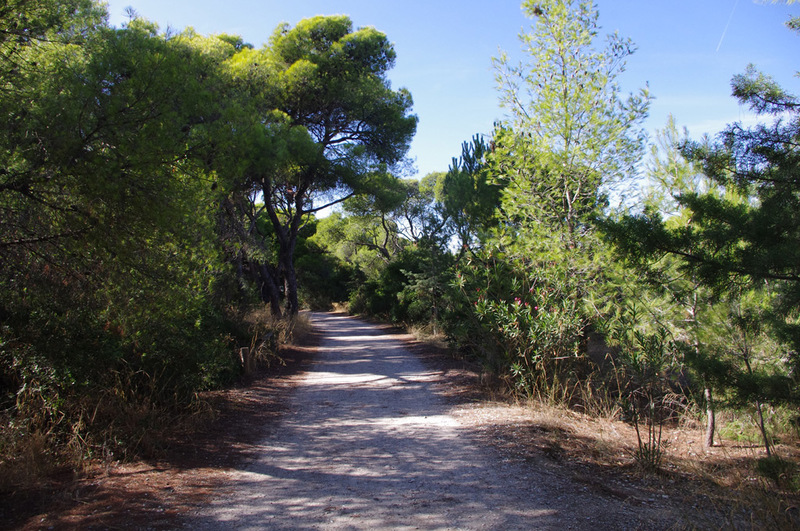 The “Pefkias” seaside pine forest, which also starts practically at our doorstep, is a wonderful place to go walking, jogging, cycling, to take the stroller or to meditate. It also provides much-needed shade from the summer sun and heat, so especially if you have children it’s a good idea to sit under the pines instead of on the beach. The municipal tennis court, whose access is free, can be found at the beginning of the forest. 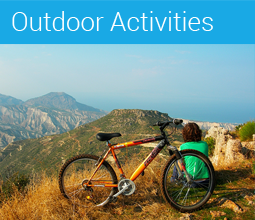 A 2km long path through the forest will take you to Xylokastro, the area’s main town. Parking, a few meters from the hotel, is free. Taking the path opposite the hotel you enter Sykia. 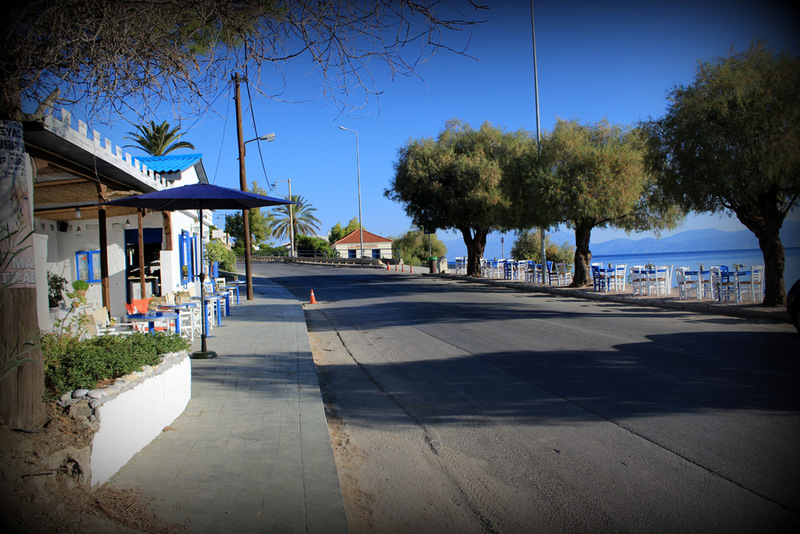 Sykia is a small and picturesque village, with a few seafront tavernas, a church, a children’s playground, the remains of an Ottoman tower and the early 20th century villa of the famous poet Aggelos Sikelianos. It is no coincidence that Sykia was the chosen holiday haven of world famous poets such as Aggelos Sikelianos and Kostas Kariotakis and that it is also called “the anchorage of poets” («το αραξοβόλι των ποιητών»). Nature has been kind to the small sleepy village, adorning it with a beautiful half-moon-shaped pebble beach; a pine forest which reaches down to the sea front; unspoiled views of Central Greece on the opposite side of the Gulf of Corinth; and unique mountain formations in its hinterland. 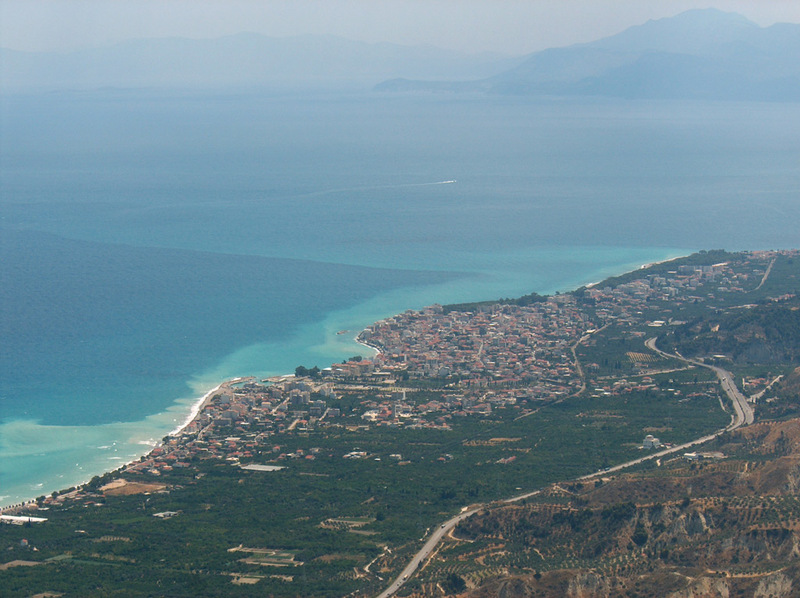 In ancient times, Sykia was a harbor from where the produce of the nearby mountain villages was exported to other Greek cities. 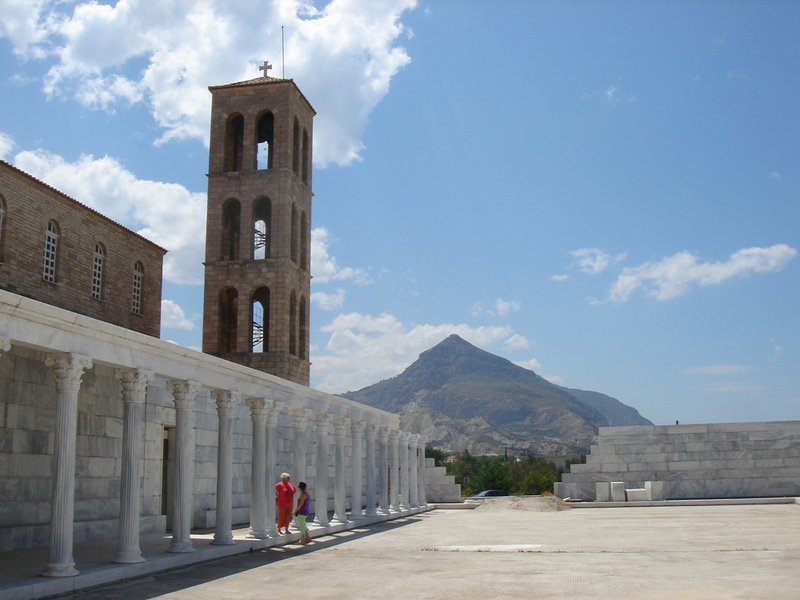 It remained a harbor during Byzantine and Frankish times, called St Nicholas of Sykia. During the Ottoman occupation its name was changed to “Pyrgos”, meaning castle. It took that name from the castle of Halil Agas, its Ottoman governor, which can still be admired on Sykia’s main street. After a period of cultural renaissance in the 19th century, Sykia today has less than 700 inhabitants who live off their land, where they cultivate citrus fruits. 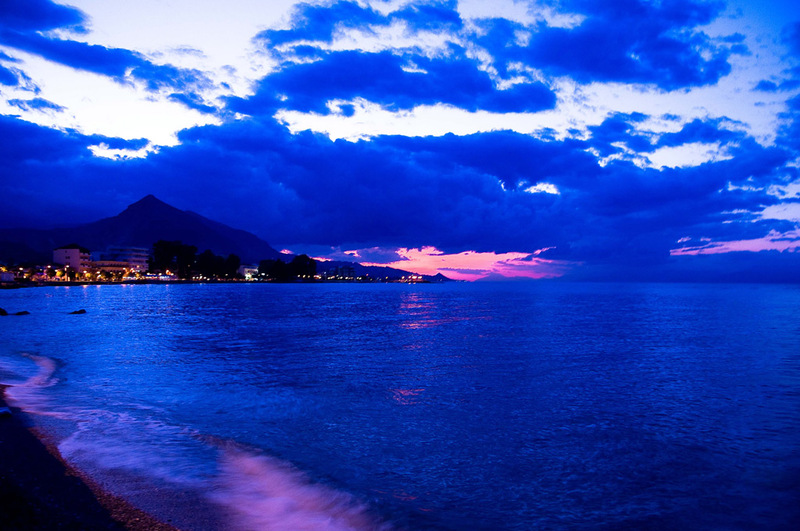 Sykia is famous among locals for its long pebble beach, which has been awarded a Blue Flag every year for the past years and seafront promenade, full of typical Greek tavernas. There are five building which you should not miss seeing in Sykia: the primary school, the holiday home of poet Aggelos Sikelianos, the family home of poet Konstantinos Kariotakis, the medieval castle of Ottoman ruler Halil Agas and the home of rich local raisin merchant Andreas Zouzoulas. The holiday home of poet Aggelos Sikelianos and his wife Eva Palmer is at the entrance of the Pefkias pine forest, just meters away from the hotel. The house was bought in the 1950s by tycoon Spiros Typaldos and is today part of the hotel Sikyon Coast Resort & Spa. 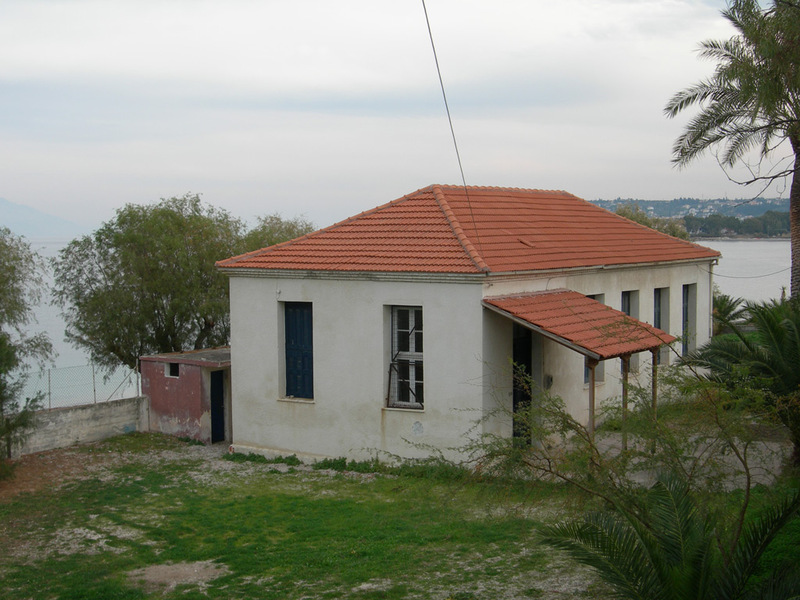 The family home of poet Konstas Kariotakis is on the beach of Sykia, just meters away from Daphne’s Club. It is a beautiful example of early 20th century Greek architecture. The house is now abandoned, after the sudden death of all remaining family members in Greece. The mediaval tower of Ottoman ruler Halil Aga is also abandoned today. It dates back to the 17th century. 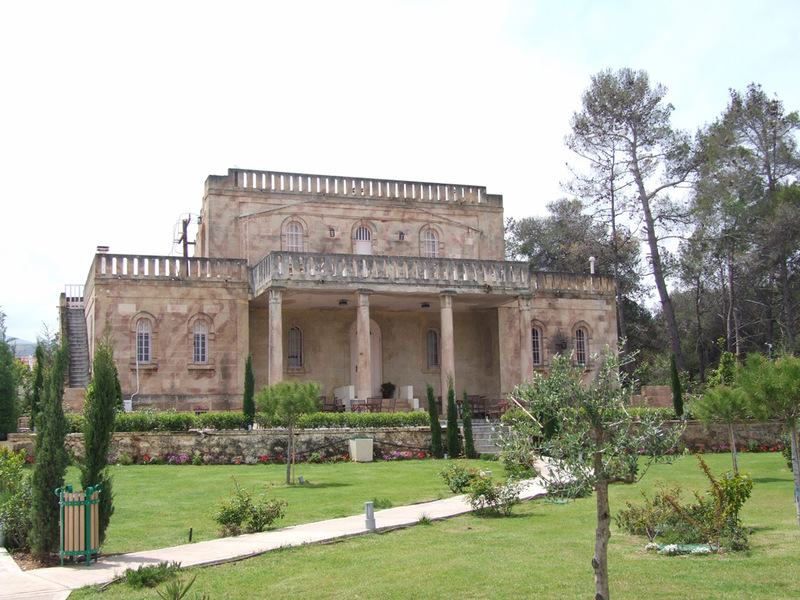 The primary school of Sykia, now once more a school, was built in the late 19th century. At Xylokastro you will find a wide choice of tavernas, bars and clubs, as well as two open air cinemas (their daily programs are available in the reception area), a spa, the Tennis Club of Xylokastro and a marina. 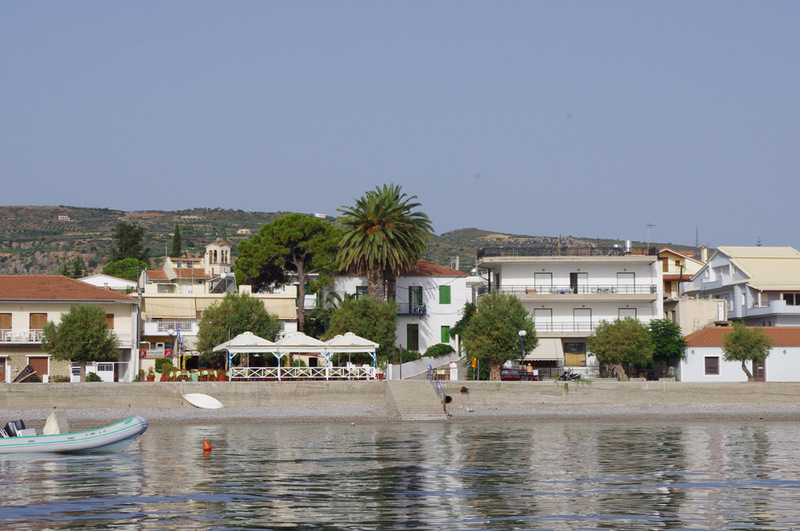 The small town of Xylokastro, whose name means “wooden castle”, is a typical small Greek coastal town. 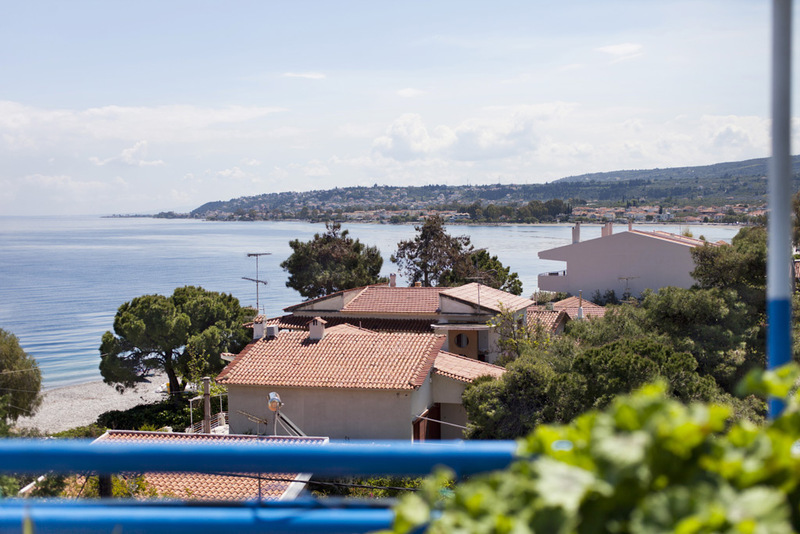 Its 5.000 residents live off the land, cultivating citrus, olive and apple trees, as well as vines for the production of both wine and raisins. Xylokastro is bordered to the North by the famous Gulf of Corinth, a strip of sea that separates the Peloponnese from mainland Greece. From the city’s long seafront promenade, which is littered with tavernas, bars and clubs, one can gaze at the opposite coast with its backdrop of majestic mountains. 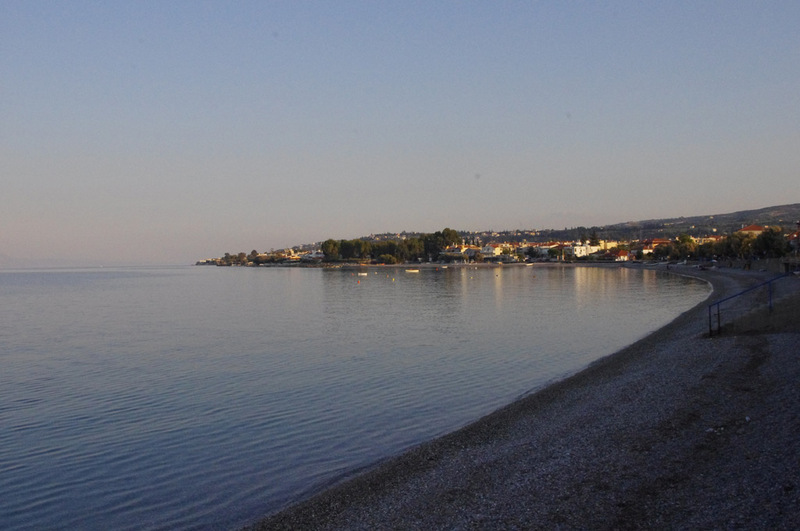 In the summer, the bay of Itea, on the foot of the Delphi sanctuary, seems but a swim away. On clear winter days the snowy shimmering peaks of Mount Parnassos, the Athenians favourite skiing mountain, provide the perfect background for a romantic stroll. To the South, the city is bordered by Mount Ziria, a mythical place, where Hermes is said to have hidden the immortal cows he stole from his brother, he god Apollo. It is worth going up the mountain and visiting its picturesque villages, such as Trikala, Manna and Zemenos, where various local festivals take place throughout the year. It is worth keeping in mind that these mountain villages, and many more, belong to the administrative municipality of Xylokastro, which therefore offers visitors both sea and mountain landscapes. The mountain has well signed mountain paths, ideal for hiking, riding and even Nordic skiing! There is also a small ski resort with two baby lifts. Read here an article about contemporary Xylokastro, written by Dafni’s grandmother, Danae, in… 1940! Its romantic aura will surely leave you spell-bound! Since its golden period, Xylokastro has periodically gone up and down the list of Athenians’ top 10 destinations. Its latest upwards trend was in the late nineties, when its night clubs became so trendy that clubbers would travel 120 km from Athens just to go out here and drive back in the early morning! While this period left in its wake little beauty for future generations, it had the effect of putting Xylokastro on the map: a number of European and international sports events took place here during that period, among which the International Beach Volley Championship and the European Veteran Amateur Beach Soccer Championship. Today you have a lot of good reasons to visit Xylokastro during your stay at Daphne’s Club Hotel Apartments. Some are practical: it is here that you will find supermarkets and open-air food markets. Some have to do with your entertainment: it is here that you will find restaurants, bars, cafés, clubs, two open-air cinemas and one open-air theatre. 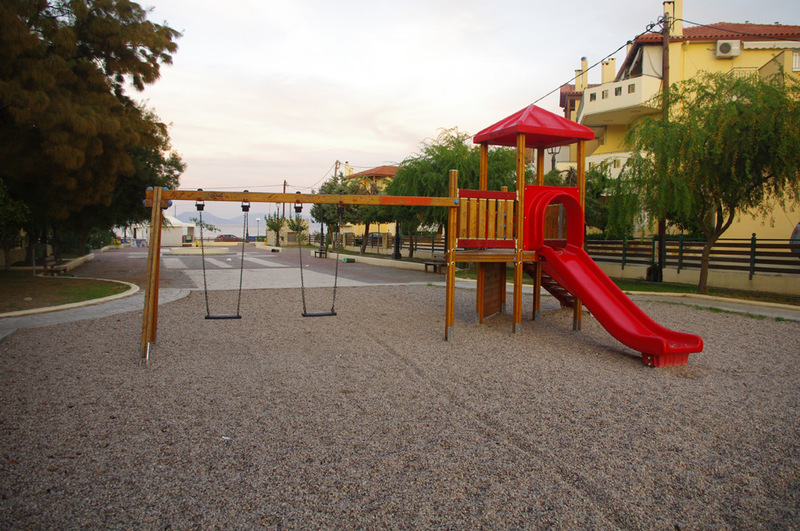 You will also go to Xylokastro for the tennis courts of the tennis club “Sythas” and its football, basketball and volleyball fields. But the best reason to go to Xylokastro is to experience real, contemporary provincial Greece. 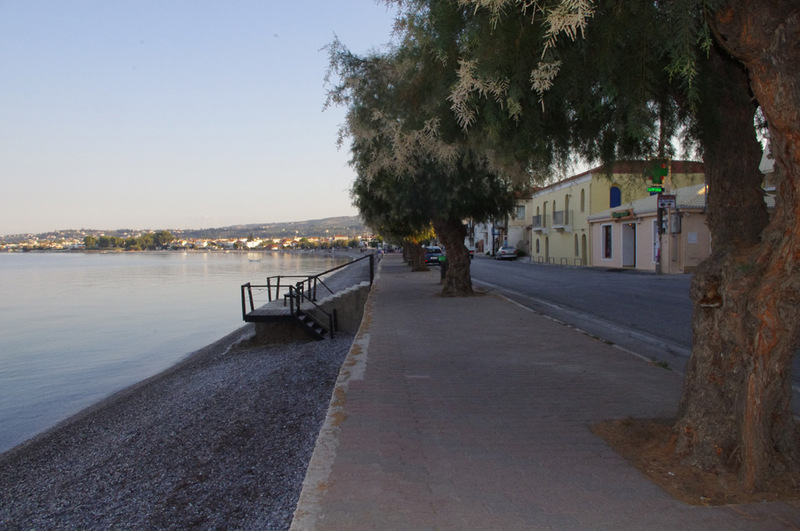 Not being a typical tourist destination Xylokastro has not gone through a phase of adaptation to tourist expectations. This can be seen in everything, from food to transportation. For those who cherish socio-anthropological observation Xylokastro will be paradise for watching the Greeks! 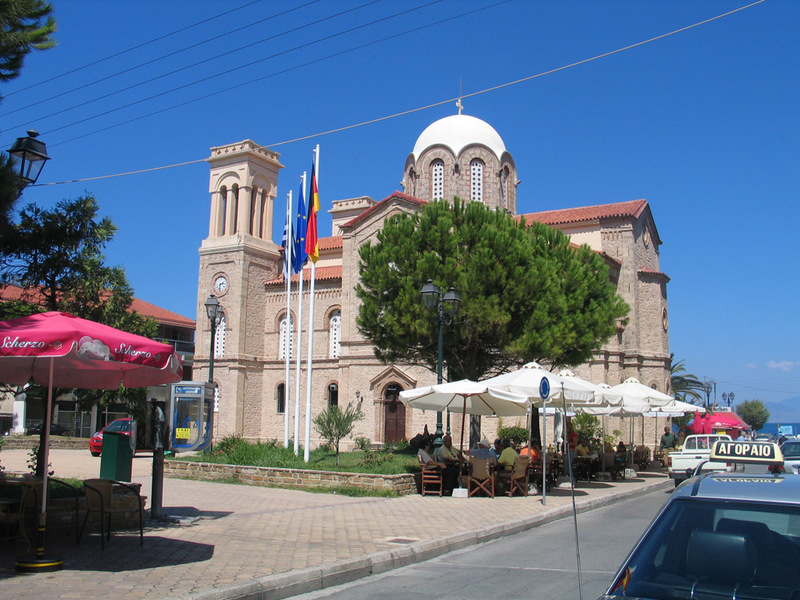 Buildings worth seeing in Xylokastro are the town hall, the old train station and the main church on the central square, all dating back to the beginning of the last century, and the Church of the Virgin built recently but in the “palaiochristian” style typical of the time of Emperor Constantine.